The Kingdom of Saudi Arabia is known for its very conservative rules specially when it comes to women. In the previous years, women could face detention if she does not adhere to the policy of wearing abaya in public. The traditional abaya worn by women is black in color. But in the last few years, women started wearing colored abayas aside from the traditional black. This became controversial as some regard this as immodest and it brings attention to women- when women in Jeddah and Eastern Province started wearing colorful abaya, women in Riyadh still tried to follow and wear traditional black abaya. 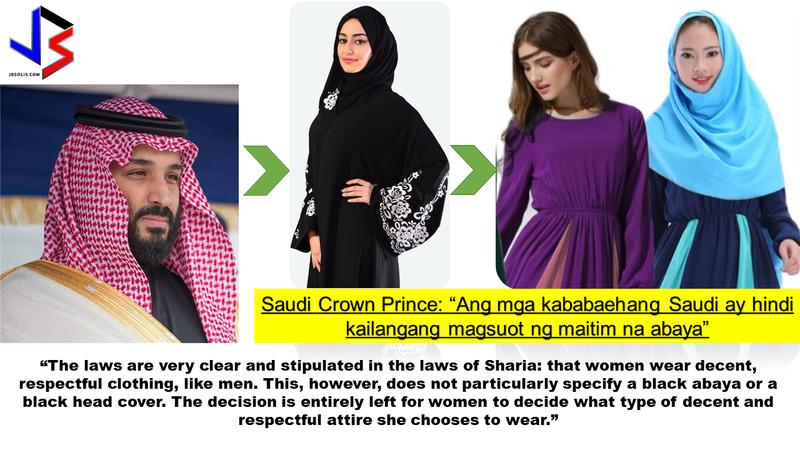 Riyadh has been known as the most conservative city in Saudi Arabia, where, aside from abaya, women are also required to cover their head with a scarf or hijab. However, in some relaxed province like Jeddah and the Eastern Province they are more lenient when it comes to wearing hijab. These provinces also introduced colored abaya in the past few years, but is criticized in Riyadh- as colorful abaya brings attention to oneself. 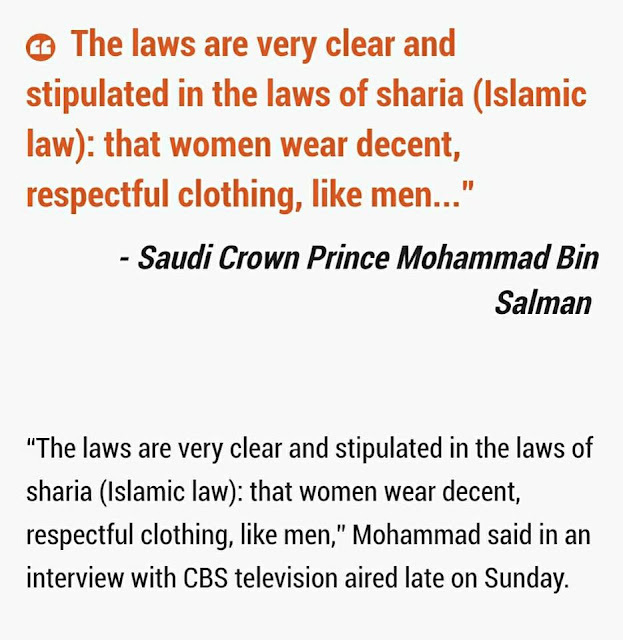 In an interview, Crown Prince Mohammed bin Salman of Saudi Arabia said: "The laws are very clear and stipulated in the laws of Sharia: that women wear decent, respectful clothing, like men. This, however, does not particularly specify a black abaya or a black head cover. The decision is entirely left for women to decide what type of decent and respectful attire she chooses to wear." He also mentioned in the interview when asked if women are equal to men, that they are absolutely equal as human beings and there is no difference. He added, "We have extremists who forbid mixing between the two sexes and are unable to differentiate between a man and a woman alone together and they're being together in a workplace. Many of those ideas contradict the way of life during the time of the prophet and the Caliphs. This is the real example and the true model...The laws are very clear and stipulated in the laws of Sharia: that women wear decent, respectful clothing, like men. This, however, does not particularly specify a black abaya or a black head cover. The decision is entirely left for women to decide what type of decent and respectful attire she chooses to wear."